Available from today (29 September), no further technical details are yet available. 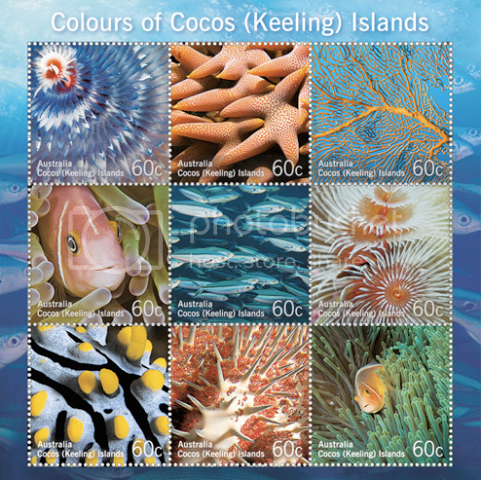 Australia Post finally released the Cocos Colours embellished sheet today. 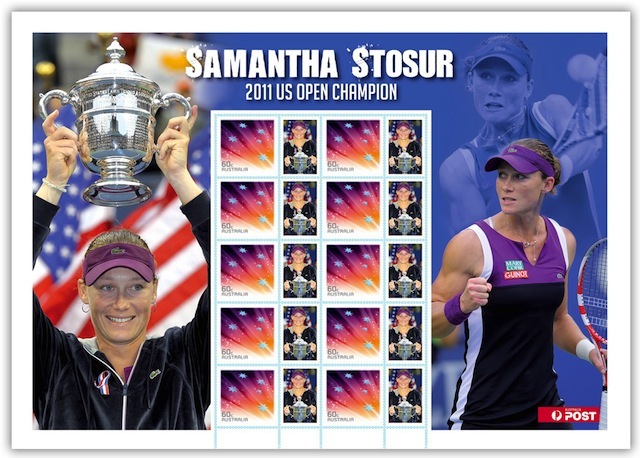 The $9.99 pack contains an embellished sheet of nine stamps, with nine greetings card. Discovered a new postage paid envelope at my post office. The NSW Justices Association envelope is not mentioned in the current Bulletin. The envelope was released on 13 September. It is designed by Lisa Christensen, and was printed by GEON Tasmania. As it is postage paid there is only a single version (i.e. no version with a first day of issue postmark, and hence a different barcode). 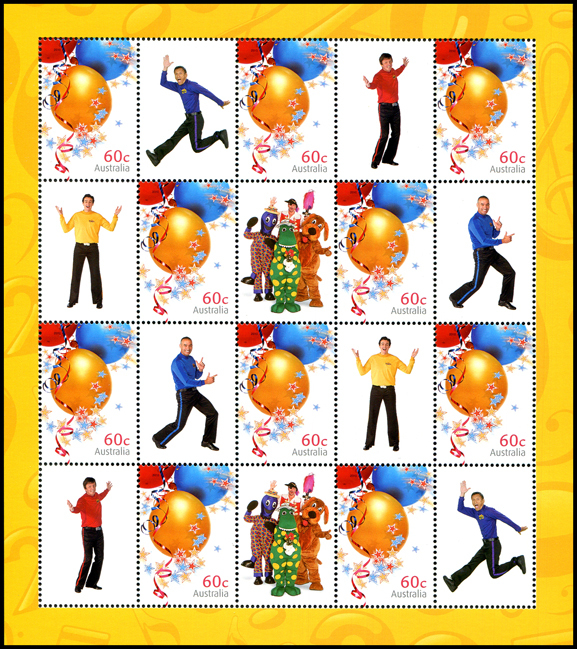 To celebrate 20 years of the Wiggles, Australia Post has released a special souvenir stamp sheet. The sheet is only released in a pack priced at $10.95. There is no on-sale date, but I have been advised by Australia Post Philatelic that these sheet were sent to post offices in mid-September, and I have been advised by Fremantle Post Office that they had these on sale from Thursday, 15 September. The sheet contains 10 of the Balloon stamps from 2010, with tabs featuring the four Wiggles and the other cast members. This sheet is the first source of the Balloon stamp with a tab (though the format of the sheet means that some stamps may have a tab attached to the bottom or left, rather than the usual right hand side), and the first time RA Printing has printed this stamp. The stamp itself is a very close match to the McKellar Renown printing, so I would advise leaving the tab on for identification purposes. 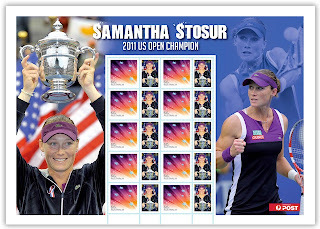 Collectors wanting a single stamp with tab should contact me.